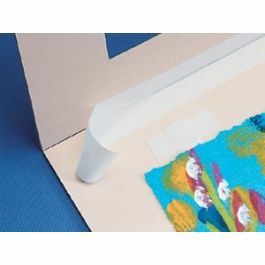 GLHT1 is our Gummed Linen Hinging Tape from Lineco that is recommended for hinging heavy art. This acid-free, lignin-free tape measures 1" x 360" (30 ft.) and provides a water activated application for use with photos, artwork, and more. The linen is made from a high thread count cotton and is neutral pH. 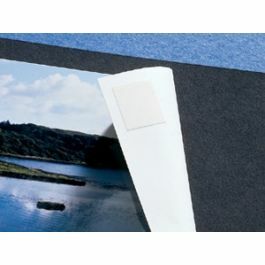 Adhesive is water-reversible. Our line of Hinging Tape by Lineco offers a variety of applications for hinging, mounting, or repair applications. This GLHT1 Gummed Linen Hinging Tape measures 1" x 360" (30 ft.) and is ideal for hinging heavy art. The water activated tape is made from a 65/55 thread count fabric and provides superior strength for heavyweight pieces. 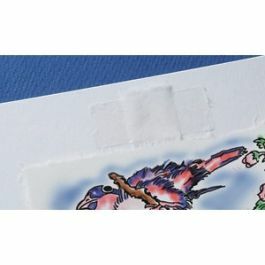 Apply to the back of mats or heavy art and moisten tape with water until it gets sticky or gummy. 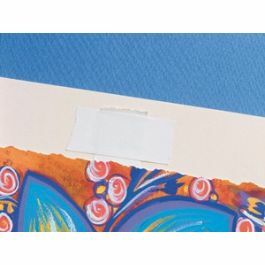 This tape is water-reversible and can be removed by simply re-applying water to release the adhesive. The neutral pH adhesive has high tack and lay flat properties making it easy to use and a favorite for hinging. The primary use of GLHT1 is for hinging heavy art.